An internship in Tianjin is a great opportunity to gain a peek into the Chinese Development Agenda. We provide professional internship placements in Tianjin which is one of the most exciting destinations for an internship in China. Tianjin offers a unique exposure to participants looking to know China better. You will be placed into a Multinational organization where English is the main medium of Communication, join cultural immersion activities, Learn the Chinese Language and meet other young people from across the world. When considering an internship in China, China Internship Placements surely is one of the best internship programs to select because you will be given a workplace Mentor who trains and equips you with the technical skills. To make it complete and a 360-degree career solution, we also pair you with professional career coaches with Experience in the Wallstreet and Silicon Valley. These Career Coaches prepare you for the Job market and teach you secrets to getting ahead of your peers. Read more about our mentoring services With over 4000 students placed, we understand what it takes to transform you for the future. The main reason internship in China is toping most destinations for International internships or better still Internship Abroad, is the opportunity to understand Chinese language and Culture. China Internship Placements arranges professional Internships in Tianjin, one of five national central cities of China. It is the largest coastal city in northern China. In terms of urban population, it is the fourth largest in China with a population of 15,469,500. 40,000 expats, of which 26,000 are international students, are estimated to be living in the city. An internship in Tianjin provides one the opportunity to be immersed in Chinese language and culture. Tianjin is part of President Xi’s Jing-Jin-Ji initiative to create an integrated economic national capital region of China. It is the biggest urbanized region in Northern China that includes Beijing, Tianjin, and Hebei along the coast of the Bohai Sea. This emerging region is rising as a northern metropolitan region rivaling the Pearl River Delta in the south and the Yangtze River Delta in the east. Tianjin has two main centers of population and business: Tianjin and Tianjin Binhai. The Economic Technological Development Area, Port Free Trade Zone, Marine High-tech Development Area and Export-oriented Processing Trade Zone have been established in the Binhai New Area. More than 70 of the world’s leading 500 corporations, such as Motorola, Toyota and Samsung have opened offices in Binhai. Tianjin’s services industry has developed rapidly, manufacturing is still the dominant sector in the city. It is this powerful manufacturing foundation, however, that has seen Tianjin attract such industrial giants as Otis, Samsung, Toyota and Volkswagen. As well as this there are the pharmaceutical, petrochemical and electronics industries, and a solid foundation in aerospace, thanks to the operations of Airbus, Boeing, Rockwell Collins and China Aviation Industry Corp.
Tianjin is a good example of a mixture of Chinese and Western features. Its historic European-style architecture, ancient Chinese cultural streets, beautiful coastline and picturesque mountain views show many aspects of Tianjin. There is lots to do when you are not at work. Ancient Culture Street is a place you shouldn’t miss. It has a lot to offer, with many little stores and street shops selling everything Chinese, from modern to traditional it is a great place to look around and buy something that you wouldn’t see anywhere else. The Five Great Avenues (Wudadao Area) is where you can see over 200 beautiful examples of Italian, German, French, Spanish and British architecture with different style mixed in with old Chinese villas that showcase the modern history of China. The Tianjin Eye, a Tianjin icon, is a 120-meter tall giant Ferris wheel built above the Yongle Bridge, over the Haihe River in Tianjin. It is the only Ferris wheel to have been constructed over a bridge. Italian Style Street is worth a visit on a nice day for stroll and something to eat or drink at the many street side cafes, people watch, small number of market stalls. A nighttime cruise on the Haihe River provides a memorable view the beautiful cityscape of Tianjin. Huangyaguan Great Wall in the mountainous area of Jixian County is considered Tianjin’s section of the Wall. Tianjin is also only 35 minutes away from Beijing on a bullet train which allows for day trips to and from the Capital City. CIP’s Internship Programs in Tianjin specially fashioned for college students and young talented graduates thirsty for real experiences to boost their profiles and reasoning perspectives about solving global problems. It is our number one priority to churn talents to become responsible global citizens leading innovations. This in mind, we arrange quality and befitting job roles as well as descriptions garnished with professional mentoring. We are proud to be associated with the future. We consider this as an opportunity and do not mess it up..
Our Internships in Tianjin makes a variety of placements into different organizations scattered across major sectors in China. We select sectors that are experiencing real growth and boost as a result of an investment. A couple of these sectors are Business Development and Finance, Accounting and tax, all areas in Engineering, International trade and Marketing, Consultancy, IT and many more. Navigate to out internship sector page for more on the sectors we cover. With lots of Economic and Technological Trade Zones and thousands of Multinational Organizations present in Tianjin, you will be placed into very interesting companies that guarantee personal improvement. Inquire now to speak with our Consultants about these opportunities. The industry has a complete value chain for the research and development, production and trade of products, which range from civil airplanes, helicopters and unmanned aircraft to rockets and space stations. The Airbus A330 assembly and delivery center project will make Tianjin the fourth-largest aircraft production base in the world after Toulouse in France, Hamburg in Germany and Seattle in the United States. The industry features a complete value chain from petroleum exploration and recovery, refining and ethylene production to the manufacturing of various petrochemical end products. The metallurgy sector, Machine building and automobiles are major sectors. Tianjin is currently home to the operations of a number of the world’s leading manufacturers such as John Deere, Otis, Honeywell, Schneider and Alstom. Companies including Otis, SEW have their China headquarters in Binhai New Area. The industry, which mainly focuses on producing smartphones and manufacturing chips will be further expanded to cover such sectors as mobile internet, cloud computing, new-type displays, LED, electronic components. Tianjin is one of the leading biomedicine bases in China. The city’s authorities also plan to expand the industry into a large healthcare industry to cover such fields as medical equipment, biological technologies and traditional Chinese medicine. The Tianjin Economic-Technological Development Area has attracted the world’s leading pharmaceutical companies, such as Novonordisk, Novozymes and Eli Lilly. There are many leading companies with global influence such as Siemens and Mingyang Wind Power. There are over 500 companies in our bouquet with more than 2000 generated internship vacancy positions. With diligence and professionalism, we are able to place as many interns as possible. Beijing alone hosted over 250 of our participants in 2014 with 3 of them returning same year for further deals others were offered a permanent position. Our interns are usually handed jobs after internships especially when they prove to be exceptional and we position our Internship participants to take advantage of this. Our Interns are the most respected according to our HR Intern Performance Survey Report conducted in July 2014. We make professional placements fitting Interns at the right vacancy (no squared pegs in round holes). All you can do is to shine!!! Our China Internship programs in Beijing run all year round from January through to December. CIP’s Summer Internship program in Beijing is also running every summer. Internship Applications are accepted for winter, spring and fall seasons. 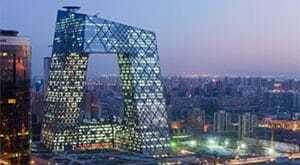 Take advantage of our Affordable and Paid Internship programs in Beijing. Apply Now and be part something special. Our China internship program package applies to this program as well. Our Internship in China program places applicants into professional internship vacancies with our partner organizations. The professional placement is supplemented by an Executive mentoring Program that gets our Internship participants ready and well groomed for the job market. CIP’s Internship programs also prepare and expose participants to global thinking. Our program contents are rich to give participants value and anytime we refer to value, we mean it. We conduct surveys research twice every year to ascertain how programs render maximum benefits. Our Summer Internship program in Beijing offers real experience deal for participants in the period of May to August. It is a perfect combination of Internship, mentoring, travel and language classes Creating A Summer to Remember forever. It is a stepping stone to greatness. Our China Internship program combined with travel and tour is available in Beijing. This program makes professional placements for participants and arranges extended weekend travel itinerary to other cities such as shanghai, Hong Kong, Inner Mongolia, Dalia or another rural setting of China. The experiences are great and the testimonies reveal it all. CIP’s China Internship program combined with the Chinese language allows participants to learn intensively Chinese language while doing an internship. The good news is that our traditional internship program provides for standard Chinese language sessions, but participants who want this on intensive basis can also have it. Interns could learn the Chinese language intensively for the first few months and later complete the internship process alternatively; it could run concurrently with the internship. Invest into your future through our Executive China Internship Program. We show you the way to go international! We have placed over 3700 Interns from all over the world on University Placement Mission and more than 800 Graduate placements over the last 4 years. CIP Internships are the only program Mentoring and Grooming Interns. This is done by professional Western University Career Officers. You have 100% decision as to which company you undertake an internship. Enhance and as well as revamp your skills relevant to stay solid on your career path and learn the Chinese language; spoken by more than 1/3 of the world’s population and becoming relevant in most business communications. Acquire Cross Cultural Management Skills relevant to lead Multinational Organizations and Global Strategy formulation. Intern in China’s most booming sectors and Multinational organizations who are the “movers and shakers” associated with it. Use Fortune 500 resources made available to you, working inside the office of the most expensive building and covering a variety of corporate functions. CIP’s Engineering Internshisp in China is hosted in a variety of locations and cities across China. Come study Chinese in some of the most culturally aware cities in China, combine fun and experience. CIP’s Engineering internship in Shanghai places participants into multinational companies with lots of career prospects. Customize your experience in China’s financial center. Inquire now! These internships in China program is always ahead of the industry in terms of benefits. Apply now for our Guangzhou internship program ! The main reason internship in China is toping most destinations for International internships or better still Internship Abroad, is the opportunity to understand Chinese language and Culture. CIP therefore emphasis on the need to have enough of the essentials. We treat you to trips and cultural activities and networking activities during your internship in Beijing. We also organize business seminars to educate our interns about doing business in China and how to negotiate with Asians. There are more opportunities to it. Join our Tianjin Internship, combine International Internship with Chinese Language Studies, Networking, Personal Development and Fun. Experience the future of China.